“Little Deals” is a new app recently launched – Finds helpful in searching for local deals across India just like – Trideals / mydala. Now they are offering special sunday flash sale where you can get extra 50% Cashback across all deals available on Little App. So Get additional savings on every Hyperlocal deal across India with Little app. You can get upto 50% Cashback on most of the local deals near you! Once Installed > Open it and skip the intros. Now verify your mobile number by the 6 digit OTP sent. Once Verified, Select any city (Such as Bangalore). That’s it! Search for your deal & Click on ‘Buy Now’ Option. Pay the required amount using paytm wallet & Enjoy! 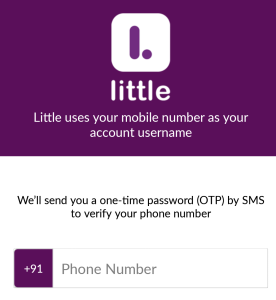 Little app is offering more free deals when you refer your friends. Refer your friend to join little deals app and Get 25% discount on your next little deal for free. Get Discount Upto Rs 150 only. How to Get the Referral Code ? Under “Spread the Joy” Section you will see “Refer friends, Get 25% off” option. Click on it and get your referral code displayed! Share it with your friends and Earn free deals. If you appreciate our work then do share this post in order to support us.